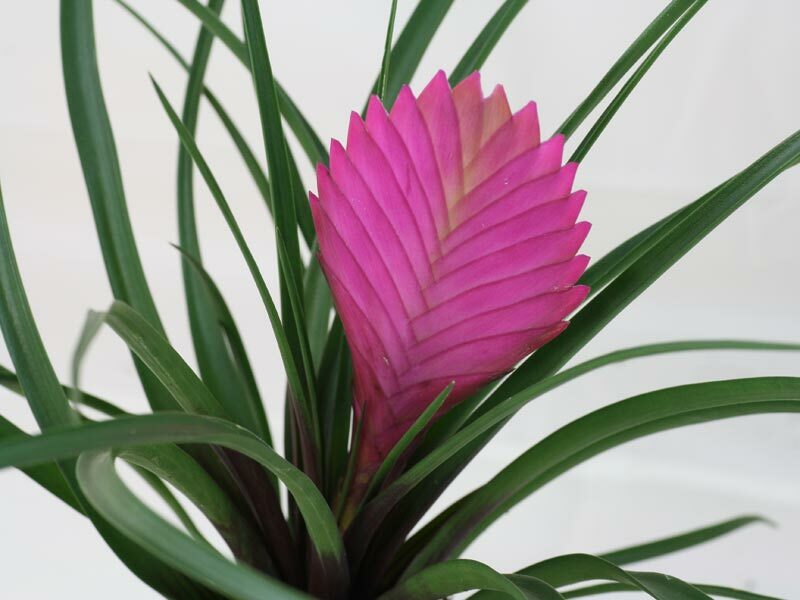 Tillandsia cyanea is commonly known as Pink Quill. 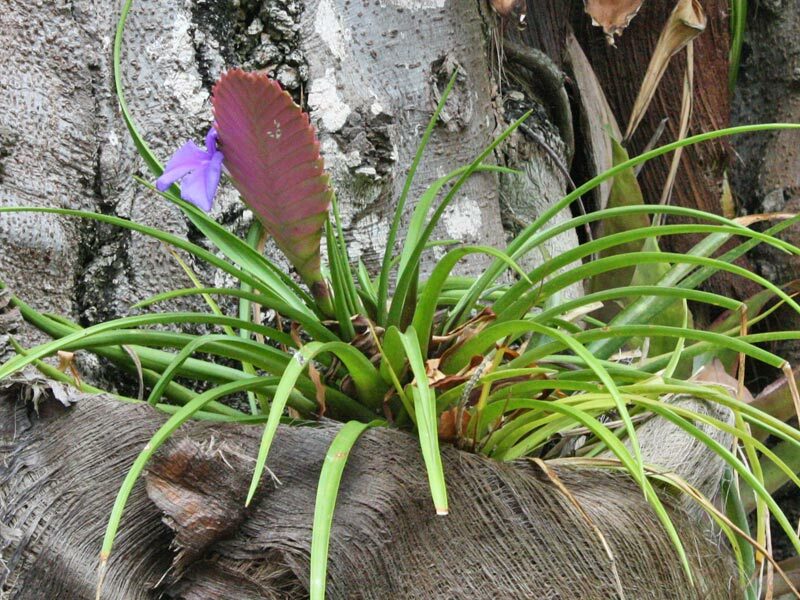 Lighting: Tillandsia cyanea does best if located bright but protected from afternoon sun. Some morning- and/or evening sun such as a light shaded place will be tolerated. Brown patches on the leaves may indicate that it got too much sun. Soil: The soil should be well drained, a mix between potting soil and orchid bark (1:1) can be used. 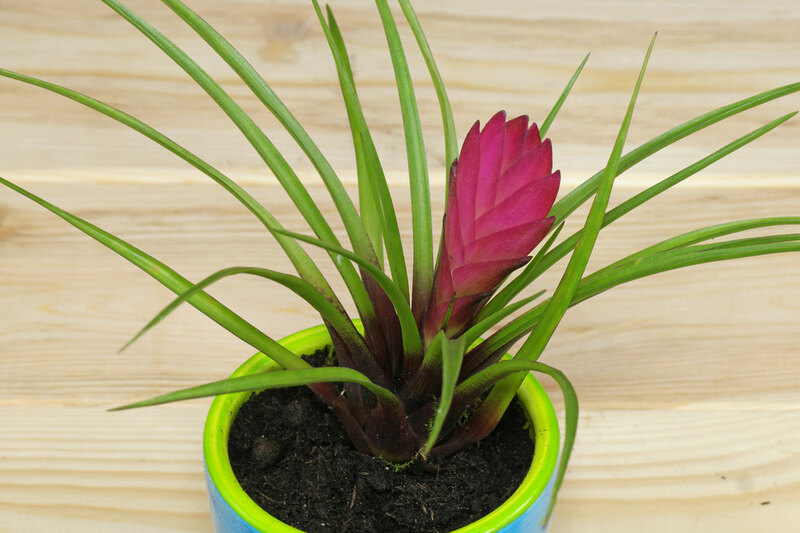 There are special mixes for bromeliads available. Watering: The Pink Quill can be deep watered, what’s flowing out of the pot should be removed after a few minutes. Sitting in water can cause rotten roots. >Before watering next let the soil become moderately dry. Feeding: A all-purpose houseplant fertilizer at half strenght can be given every 6 to 8 weeks in spring/summer. A half diluted orchid fertilizer is also suitable. 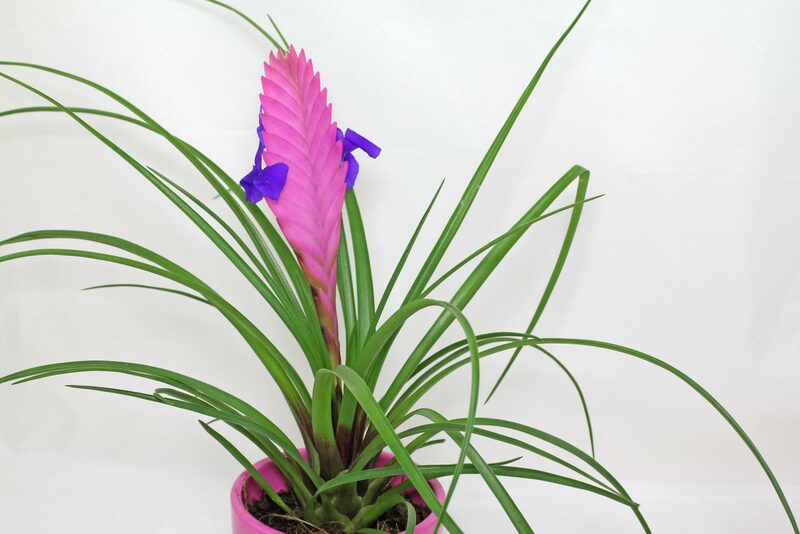 Temperature: This Bromeliad can be cultivated at room temperature the year round and needs a winter minimum of 15 °C/59 °F. Humidity: Spraying it over with water from time to time increases humidity only for a short time but keeps its leaves free of dust. Pruning: The flower spike can be cutted off when it has dried. The old growth will not bloom again. 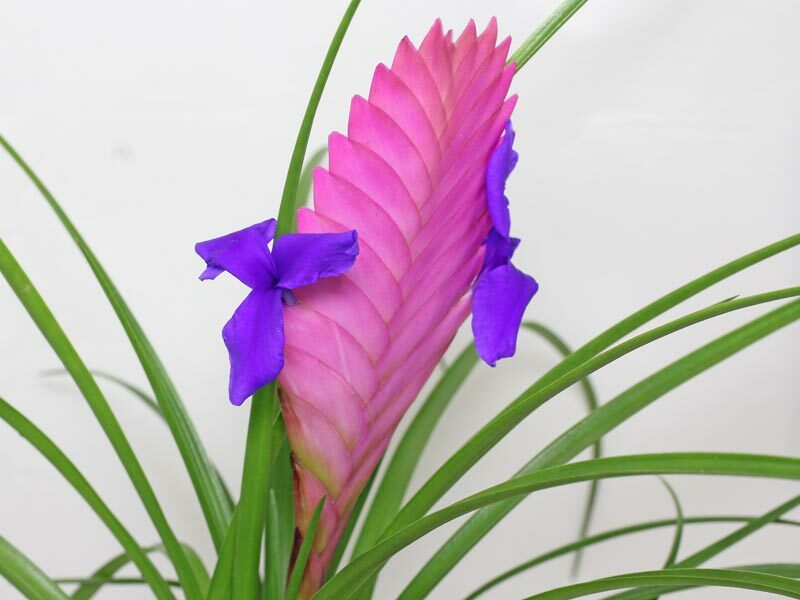 After flowering Tillandsia cyanea is showing new offsets at its base. Those will maybe rebloom after some months. Offsets can be removed when they are 7 to 10 cm (2.76-3.94 inches) tall. At a temperature range between 20-25 °C/68-77 °F it may take more than 3 months to show up roots. Tillandsia cyanea at Jardín de Aclimatación de la Orotava (botanical garden) Tenerife.